The Khmer Ceramic Centre in Siem Reap is dedicated to the renaissance and appreciation of the lost art of Khmer ceramics. Khmer ceramics once thrived during the Khmer Empire from 802 to 1432. NCKCR was founded in 2006 to revive the skill and knowledge of this technically challenging and beautiful hand crafted art form. We offer vocational training for young disadvantaged Cambodians, academic research and international collaborations with esteemed potters to build and revive this lost heritage. We aim to build the National Center for Khmer Ceramics Revival, dedicated to Khmer fellow potters. Enjoy a free visit or experience alluring Clay Class. Our trainees will give you a fully guided tour with explanations and demonstrations of all stages involved in turning raw clay in to a full finished, fired and glazed Khmer ceramic of beauty and utility. We propose you to enjoy our Clay Classes…an alluring experience. 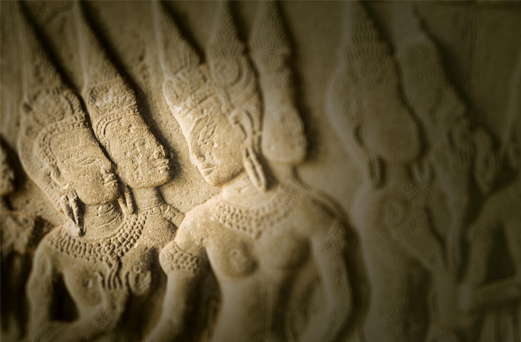 Visiting the KCC is a “must” whilst in the Angkor region as it brings you closer to the true Khmer spirit. Our products are either Khmer Traditional, or Khmer contemporary, inspired by Khmer shapes, nature, culture… All of our Ceramics are made from local natural raw materials; transformation from Khmer earth and stone in to a full finished, fired and glazed Khmer ceramic of beauty and utility. We offer high temperature stoneware, fired at 1300 C (2400 F). These ceramics are the same quality as porcelain and stronger than faience. Our ceramics (for tableware) are certified as food safe and fully comply with the European Union regulations. Our focus on exacting quality means the product is both robust and dishwasher-micro wave safe. We also use Raku technique for decorative Ceramics.